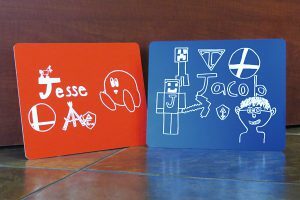 Complete your camping adventure and have fun all with custom lanyards! 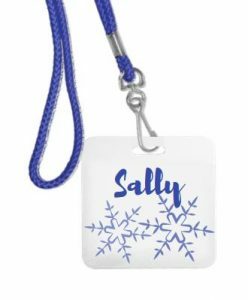 Whether planning a family reunion, a summer youth program or a nature retreat, lanyards add fun and efficiency to any outdoor activity. 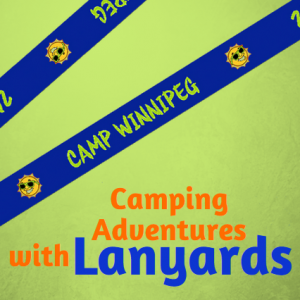 Custom lanyards are great accessories for all campers and party goers. And, they serve as excellent souvenirs for the memories made while camping or at a family reunion. 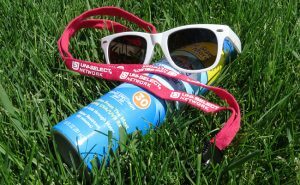 Here are some quick tips on how to use custom lanyards while camping or during your summer festivities. Lanyards are great for necessary camping gear. Most campers use a compass to help them navigate through their camping terrain such as the woods or a desert. Knives can come in handy when you need to cut a piece of rope or a tree branch. So, carrying essential camping gear like these on a quality lanyard ensures that these items will not get lost while exploring the great outdoors. Lanyards are also a great idea to keep in camp kitchens and latrines! Use them to hold spices and kitchen utensils. Or, keep small containers of toiletries together for easy use and quick accessability. 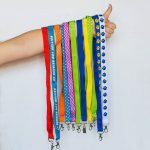 And, because lanyards can be worn around a neck or attached to a bag or piece of clothing, hands remain free to engage in camping activities. Setting up a tent, starting a fire and rock climbing all become easier by using this fantastic tool! Maintaining security and keeping people identified are common camping issues. For summer programs, campers can wear a name badge or other form of identification to create unity and elevate camp security. Camp leaders need to be able to identify each participant in their program. And, having each camper wear a lanyard with a name badge will help identify those who belong. They also aid in remembering people’s names. 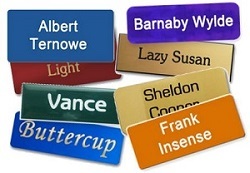 For family reunions, name badges help everyone remember each other’s names and how they are related. If there are other campers around, lanyards help you see who is a part of your group. Lanyards are also tons of fun! Campers will love coming up with creative ways to wear their lanyard. Wear it around a wrist like a bracelet, slip it through a belt loop or tie it around an ankle. Try wearing it like a headband or an armband. Or, maybe use it like a shoelace. There are many possibilities, and finding all of them can add an extra dose of fun and creativity to any camping adventure. Because they are so versatile, custom lanyards are one of the best tools to bring on a camping trip. 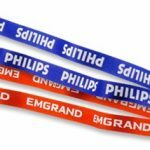 From advertising to practicality, branded lanyards benefit any business. Custom lanyards have never gone out of style. And they continue to grow in popularity, especially when it comes to how they are branded. From sports team colors to business logos, each lanyard reminds the wearer of where they got it. And, they are more than just a reminder to the wearer, they also let the beholder know more about your brand. 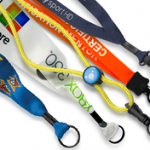 Custom lanyards have a potential to reach far beyond what a name tag or badge does. Lanyards have far more useful applications than a name tag. 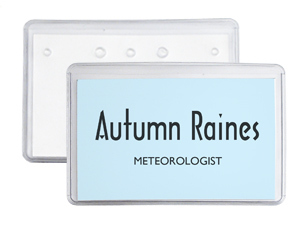 While name tags are perfect for identifying employees and visitors, lanyards add security, branding and functionality to identification. They are everywhere: schools, office buildings, sporting events and more. So many places use lanyards on a daily basis. 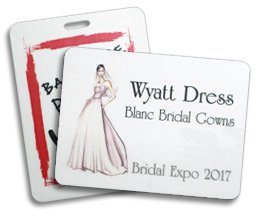 Lanyards are also commonly used during conferences, conventions and other events. 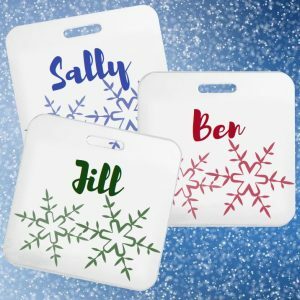 While frequently used for displaying name tags, these promotional products have many different uses. Most people have found lanyards to be useful in everyday life. Use them to keep track of your keys, or use them to keep pens and other personal items close at hand. Now, what about that branding? Lanyards are incredibly versatile due to their custom nature. Add text, logos, graphics and so much more to promote any brand. The text can be a phrase, a date or the name of an event or business. Wearing a lanyard makes ID or credentials more accessible to show to others or for security proof that you can be in a building or any other typically private place. Keep your employees branded at all times. Add your logo and company color to a lanyard, and you won’t be able to give them out fast enough. 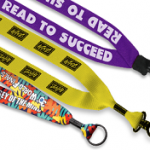 Or, use a slogan or motto on branded lanyards to promote your business. These tools add recognition and identify not only the wearer but the company as well. Often, lanyards are a requirement for access to a building or meeting and can be used this way as advertising. So, strengthen your brand at in your office and at your next event with a custom lanyard.